The certificate confirms that the company has fulfilled the basic legal and organizational requirements for the systematic integration of occupational health and safety into the corporate structure in its permanent establishments. Occupational Safety: The seal of quality complements the "Safe with System” management system of RCI trade association, which specifically helps small and medium-sized companies to systematically organize occupational health and safety in their industry. 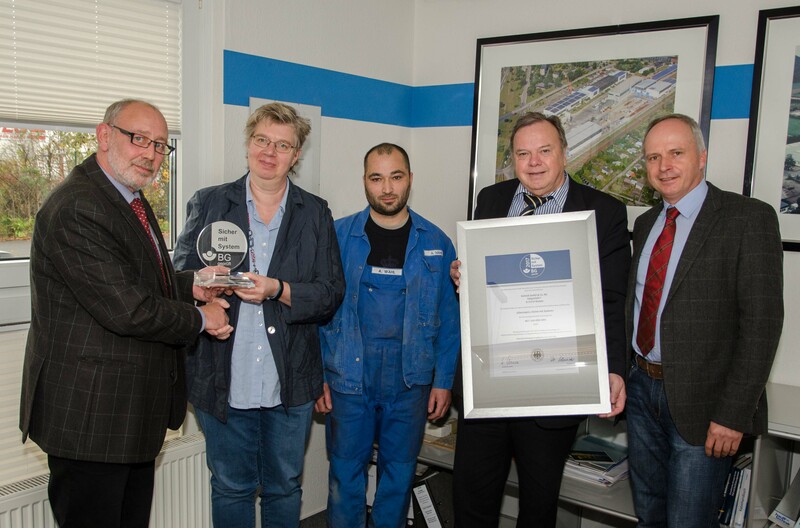 "With the award of this seal of quality, the trade association aims to make positive examples public and motivate all member companies to systematically integrate the requirements of occupational health and safety into corporate structures” explains Dr. Bernd Schneider, quality seal consultant for RCI trade association. The aim is to initiate a continuous improvement process in order to steadily and permanently reduce the number of work accidents, occupational illnesses and work-related health hazards as well as the resulting costs. Occupational health and safety thus become an integral part of the corporate culture. "Successful companies are also characterized by the fact that they are aware of their social responsibility and therefore profit from the motivation of their employees and the minimized downtime", Dr. Schneider.